This event couldn't happen without the many hours put in by our team of dedicated volunteers. We're looking for volunteers to serve as Checkpoint Managers, Road Marshalls, Finish Line Hosts, Chalet assistants, Master Tracker In-Training, and to help at the Ski Club with set up. Please email ykfrostbite50@gmail.com if you would like to help out. Check point hosts keep the fire going in each check point tent so that there is always water for participants passing through, and check off participants as they come through the check point. They can choose to provide snacks at their check point if they want (not mandatory - all participants are fully self supported). If the weather is very cold, they may do frost nip checks on participants as they pass through. 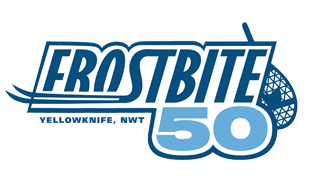 This is a great way to participate and support the Frostbite 50! Participants always appreciate the friendly faces they see along the way at check points! Check point hosts require their own transportation to and from their check point, but tents/water/stove will be provided. Be the first to congratulate participants on a job well done! Finish line hosts check off participants as they cross the finish line, and hand out finisher medals. This is located at the Ski Club. There are two Ingraham Trail crossings on the Frostbite 50 course. In March the road can be busy with trucks going up to the diamond mines, so it’s important to have a marshalls at the two crossings to ensure that participants cross safely. Road marshalls need their own transportation to and from their positions. The Ski Club Chalet Manager and two assistants will look after the serving of food (provided), as well as assist at the finish line and help the Event Director and Master Tracker as needed. The bartenders / beer sales will sell beer tickets and serve beer for thirsty finishers and their friends.